We are proud to offer the Montessori program, based on the philosophy and teachings of Dr. Maria Montessori. This revolutionary method of education is based on the simple and fundamental principle of “following the child”. The Montessori program nurtures the natural development of the child and builds on their innate curiosity to learn. Through peer and teacher interaction and an integrated curriculum that includes activities for self and group learning, children begin a unique experience to self-discovery. The Montessori classroom can be refereed to as a carefully planned environment. By creating a learning space where children feel comfortable to explore, they develop a sense of independence and enhance their cognitive development through ‘learning by doing’. The unique combination of activities coupled with self, peer and teacher learning helps children enhance creativity, build critical thinking and problem solving skills. Our program provides the foundation for life long education, where a deep desire for learning is the result of individual discovery and genuine inquisitiveness. Dr. Montessori continued to practice her theories and proved its success in Italy before she spread her knowledge and established centres of training all over the world. Today, her memory lives strong as her message of teaching by “following the child’ continues to be the foundation of many classrooms all over the world. 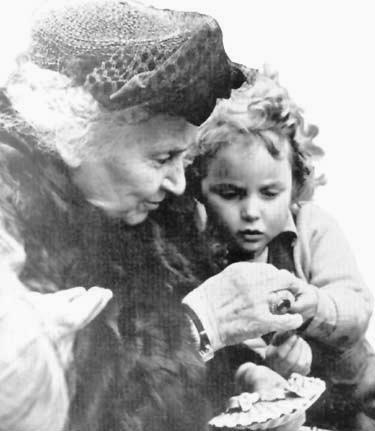 Information about the Montessori method and Dr. Maria Montessori has been collected from The International Montessori Index. We encourage parents to learn more about Dr. Montessori and the Montessori method at this site. As educators, we recognize that a child’s learning does not stop at the classroom. At Granville House Montessori, we strive to build a strong link and partnership between the home and school, actively encouraging and welcoming parent involvement in our programs and activities. It is our belief, that parents are the child’s first and foremost teacher and play a significant role in a child’s educational journey. A child’s environment is essential to his or her learning development. Our classroom furniture and the materials we use are comfortably scaled to a size that facilitates a self-directed approach to learning and independence within a home-like atmosphere. It is our goal to continuously offer a safe and nurturing learning environment, where children can practice their emerging skills in a small community they can trust. Granville House Montessori is committed to meeting the developmental needs of each individual child intellectually, physically, socially and spiritually. Please note that use of this form does not reserve or hold a space at Granville House Montessori. Copyright © 2015–2019 Granville House Montessori School. All rights reserved.